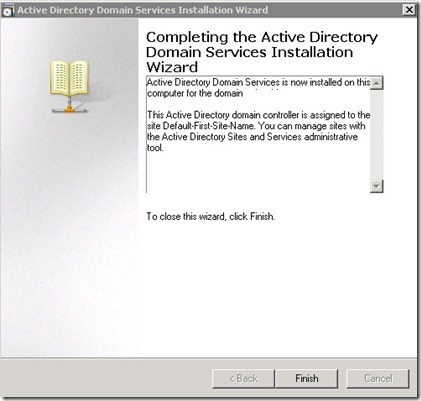 How to install and configure Active Directory Domain Services in Windows 2008 R2? 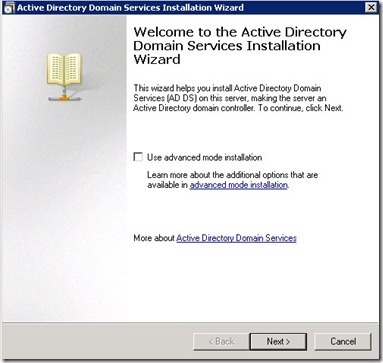 Install Active Directory Domain Services (AD DS) on a member server that runs Windows Server 2008 or Windows Server 2008 R2 by using the Active Directory Domain Services Installation Wizard (Dcpromo.exe). 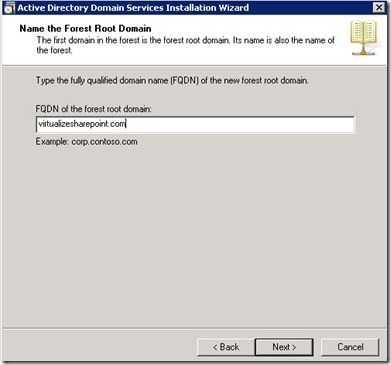 The member server should be located in the forest root domain. 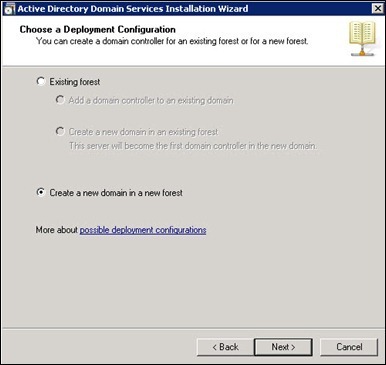 After you install AD DS successfully, the member server will become a domain controller. 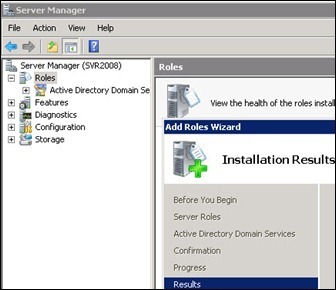 You can install AD DS on any member server that meets the domain controller hardware requirements. 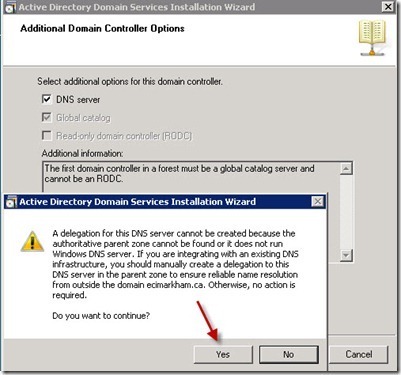 A delegation for this DNS server cannot be created because the authoritative parent zone cannot be found or it dose not run Windows DNS server. 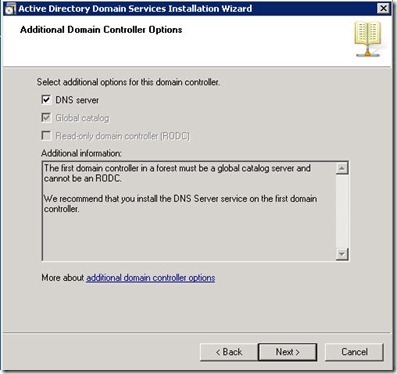 If you are integrating with an existing DNS infrastructure, you should manually create a delegation to his DNS server in the parent zone to ensure reliable name resolution from outside the doman. Otherwise, no actions is required. 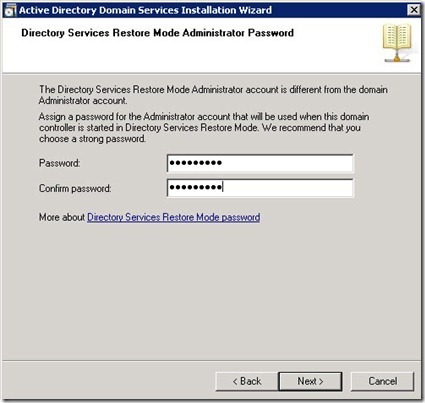 The directory services restore mode administrator account is different from the domain administrator account. 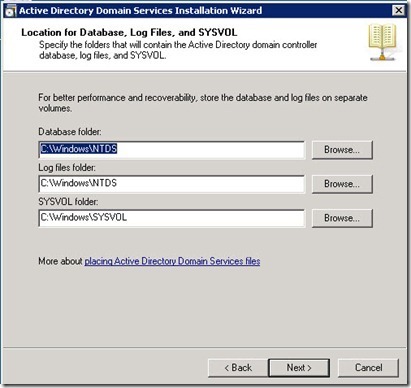 Assign a password for the administrator account that will be used when this domain controller is started in directory services restore mode. 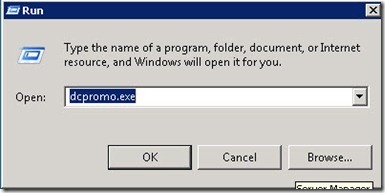 we recommend that you choose a strong password. 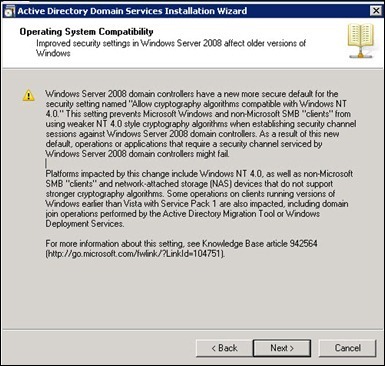 Active directory domain services is now installed on this computer for the domain. 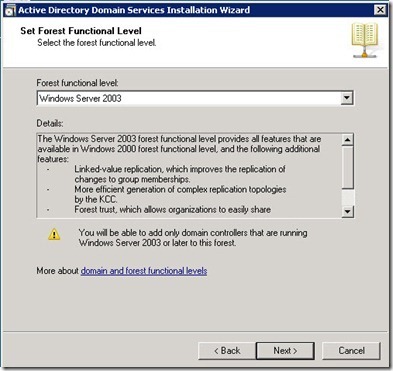 Click on Finish and restart the server. 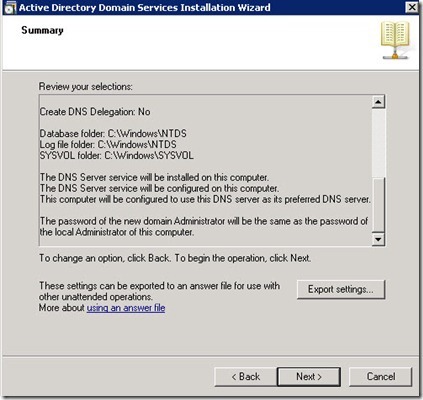 you want to access this site from outside of your network?